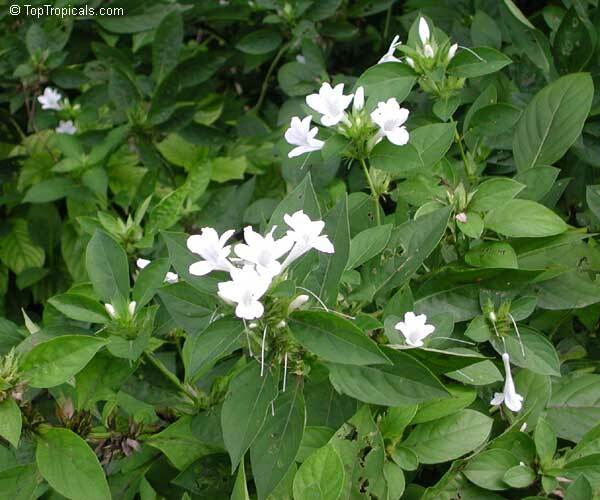 Grows into a shapely shrub with minimal pruning. 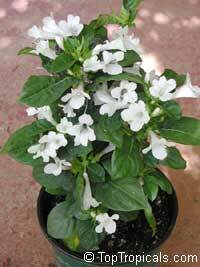 The trumpet-shaped 2" long flowers openin in terminal clusters in November and continue into mid-December. This is an easy-to-grow shrub, about 3ft height, which can be used for a garden hedge or tightly clipped into geometrical shapes. 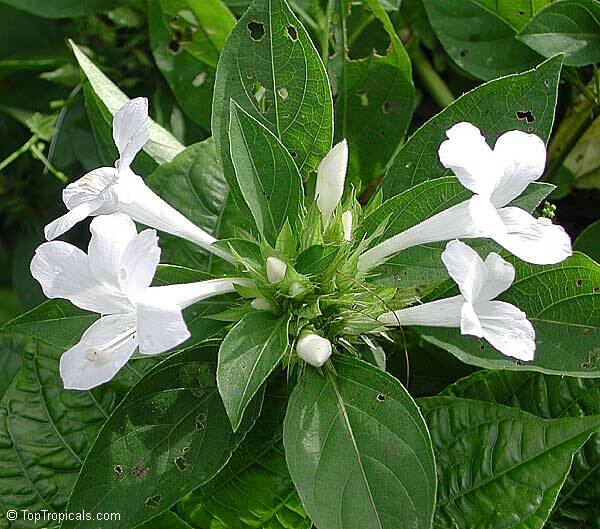 On the most common variety, the tubular flowers are varying shades of mauve; there is also one with pure white flowers and another with flowers striped in mauve and white. 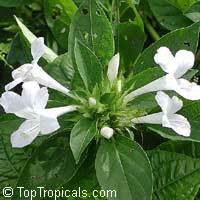 Barleria involucrata is similar to B. cristata except that both leaves and blooms are larger and the flower color is blue-lilac. B. prionitis is a spiny bush with orange flowers. 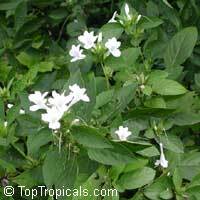 Barleria is easily propagated from cuttings planted in fall directly in the ground. It requires some sun to flower profusely and occasional pruning to promote bushy growth. See B. cristata var. Striped, var. blue-lilac.